Kernel: Unique kernel subsystems lack SELinux support. Userspace: No existing SELinux support. Userspace: Sharing through framework services. 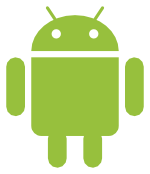 Policy: Existing policies unsuited to Android.